Mine has a fabric that doesn't hold ink well so every once in a while I'm able to wash it and draw a new design on it. Recently me and a friend took to drawing character faces all over it. (I think they are hotels! lol) - Harrahs, Ballys, The Mirage, Paris, MGM, Caesars Plalaces, Imperial Palace, and alot more.. I don't have one at work! But I saw these cool onse at the Source, they look just like persian rugs, with the tassles and everything! I dont use one! 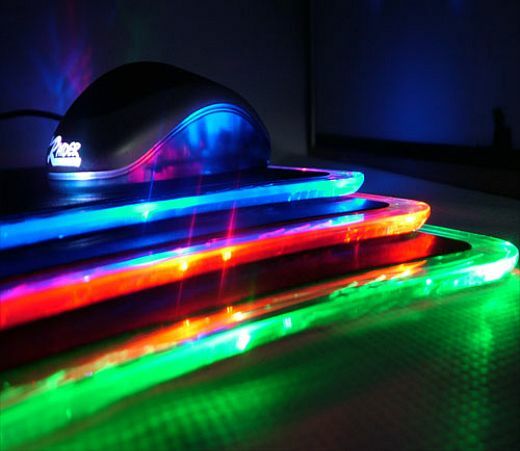 optical mice work perfectly without them. No more readjusting the mouse on a pad! Mine is black with a gold star at the top. Under the star are the words "Army Strong," and under that is, "Go Army.com" in big gold letters.